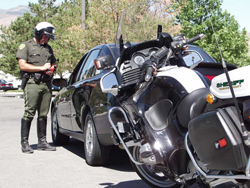 The Sheriff’s Office Motor Unit will provide prompt response to traffic collisions, traffic complaints or problems and handle those quickly and effectively. We will conduct specialized proactive enforcement to handle any and all criminal activity that can be addressed through traffic enforcement efforts and provide any assistance possible to other units and divisions of the Sheriff’s Office thereby helping to ensure our community is safer. The Motor Units’ primary functions are to conduct traffic enforcement and investigate traffic accidents. 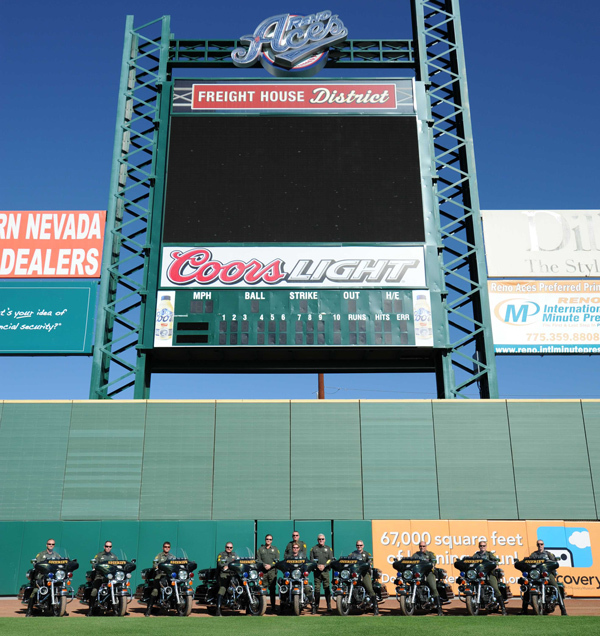 The Motor Unit also participates in dignitary protection, parade escorts, funeral escorts, honor guard details and special events such as Hot August Nights, Reno Air Races, Balloon Races, Street Vibrations and numerous others. 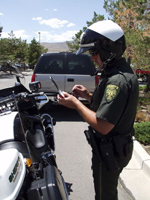 The Motor Unit is also a member of the Northern Nevada Regional Motor School, which teaches and trains new motor officers in the area of operating a motorcycle in a law enforcement environment. All new motor officers who attend the school will receive 80 hours of training and upon completion will receive an additional 240 hours of training in a field training program. The Motor Unit currently has three Certified Motorcycle Training Officers (CMTO) assigned to the Regional School. All currently assigned Motor Deputies are members of the Major Accident Investigation Team (M.A.I.T.) 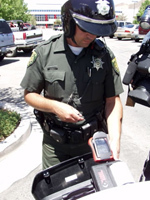 which investigates all major injury or fatal accidents that occur in the unincorporated areas of Washoe County.